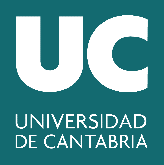 University of Cantabria will be represented in the FED4SAE project by the Network Planning and Mobile Communications Laboratory. It has around 20 members, with 9 permanent staff. The group has a strong background in the participation in various European projects and collaborative initiatives. In this sense, and related to the main topics to be tackled within the project, it is worth highlighting the technical management that Prof. Luis Muñoz (head of the group) has undertaken for the SmartSantander project. In this sense, the access and exploitation of the SmartSantander platform is guaranteed through the lifetime of the project. Protocols and architecture design and implementation for mobile communication networks, gathering a huge experience in routing algorithms and MAC layer behaviour for these different mobile technologies. Middleware platforms for sensor networks and other mobile technologies, in order to uniform and homogenize the access to subjacent sensor technologies from the upper layers. Internet of Things, including deployment and installation issues, as well as the management of the whole network, the execution of different researching experiments and the provision of several services to the citizens. Contactless communication technologies, such as RFID, NFC, MIFARE and its evolution DESFire, applied to smartcard solutions and NFC-based mobile environments. The relevance of the research activities of the Group is supported by the intense and successful participation in different research programmes, both with national (CENIT, INNPACTO, PSE) and international public scope (FP5, FP6, FP7, H2020), as well as private funding, bringing about the establishment of a number of collaborations with the industry, fostering the university-industry couple, key factor to reach the quality within the R&D/Innovation activities. In this line, UNICAN has collaborated with different financial entities in the deployment of payment and mobile-payments system both using e-Purse mechanisms and EMV credit/debit.